Travelling with Sydney is similar to travelling with a man in the Middle East. In the Middle East, local men ignore me if I’m travelling with a male companion. 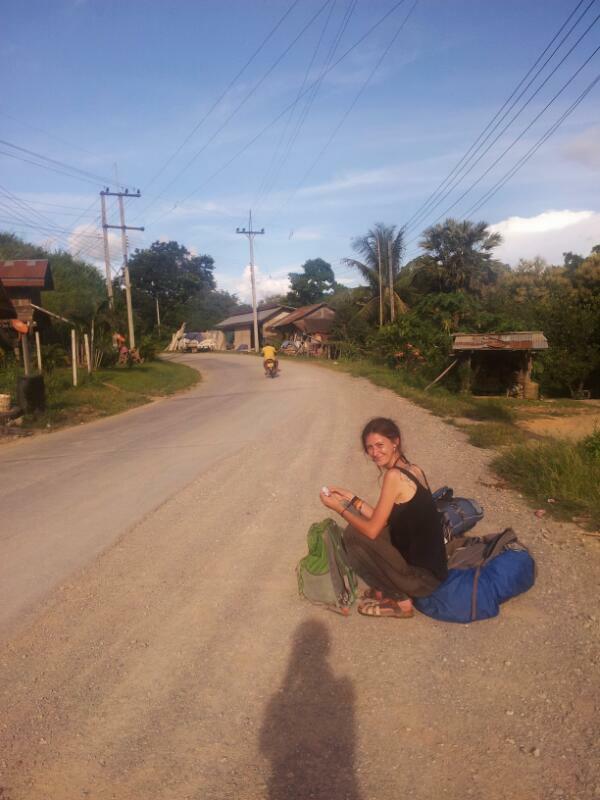 In Laos, local men ignore me if I’m travelling with Sydney because she is very tall and very beautiful. Sydney’s a really amazing travel companion, though. She’s very laidback and ready for any adventure. And most importantly, she makes me laugh a lot. 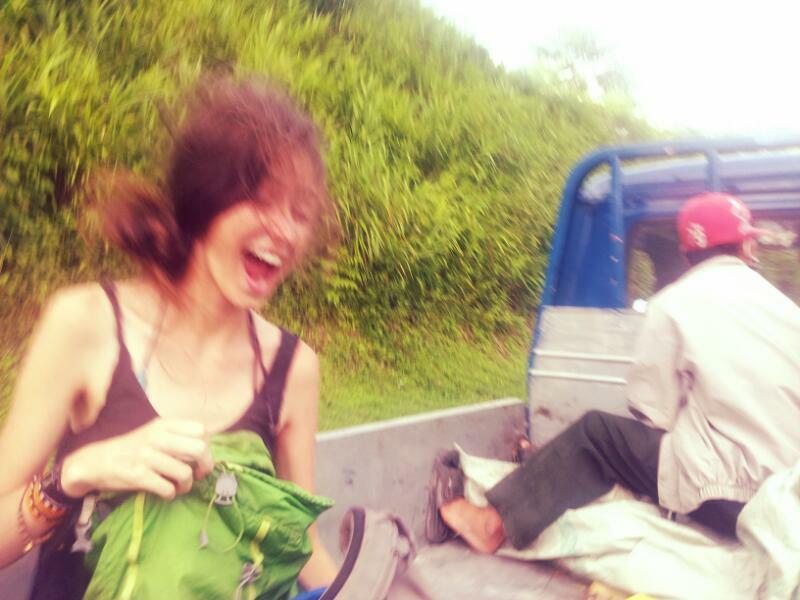 We’re heading to Nong Khiaw and Sydney’s first ever hitchhiking ride is in the back of the bounciest pickup truck in the world. It constantly throws us into the air and then slams us down at full force onto the hard metal. I’m actually quite terrified that we’re going to be thrown out of the truck. Sydney laughs as we’re thrown into the air in one of the most dangerous rides I have ever hitchhiked…I’m thankful that she’s so laidback! 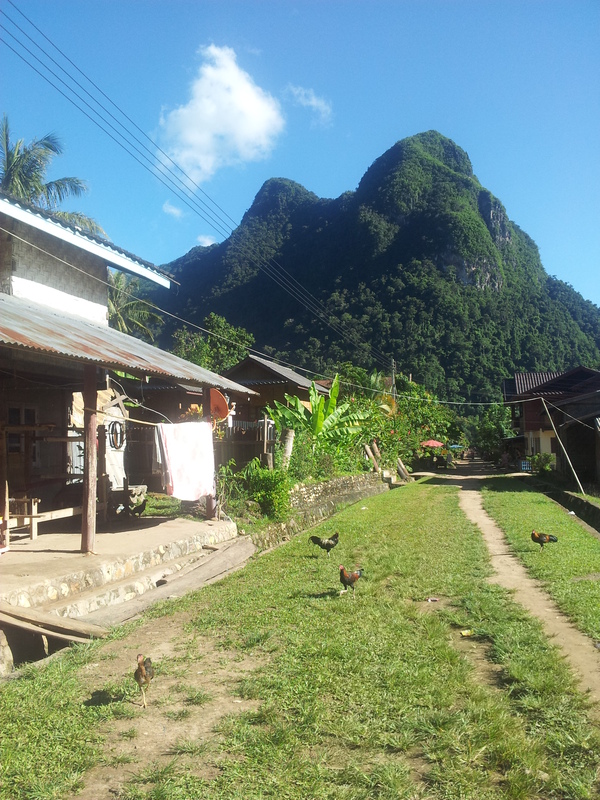 We spend a night in Nong Khiaw, a village which has grown since I was last here, with more tourist bungalows and backpacker restaurants. 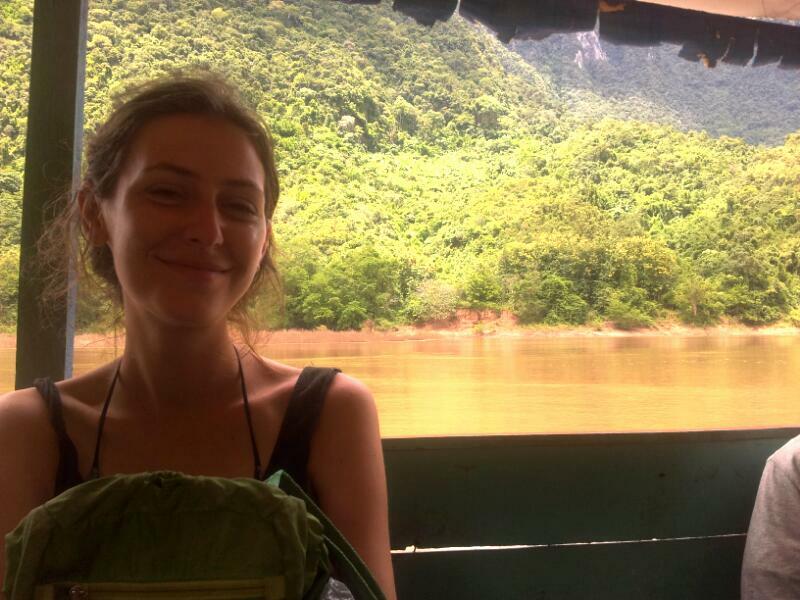 Then we get a boat up the river to Muang Ngoi – surely one of the most serene, beautiful places in the whole of Laos, with dramatic limestone rocks covered in dense forest. There’s some posters stuck on the fence at the dock, telling tourists to respect Lao dresscode and saying that wearing small shorts may upset local people. The backpackers here either don’t see the posters, or choose to ignore them. After a few days of swinging in our hammock it’s time to carry out the Grand Plan and sail down to the evil corporate dam which has split the Nam Ou river in half. Because there’s no longer public boats heading south down the river, we need to charter our own private boat. It costs us a massive £50 for the one hour journey to Hatkip, the site of the dam. 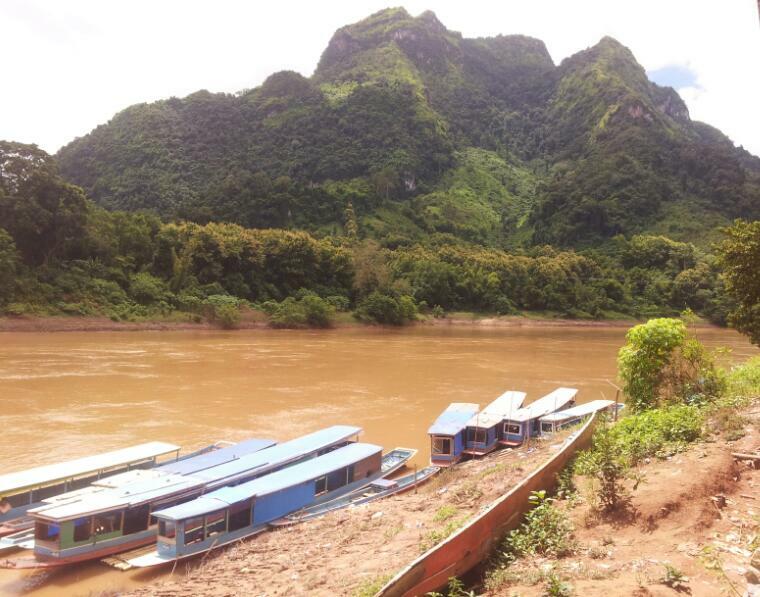 As our boatman steers us through the rapids and rocks of the Nam Ou, it’s clear that he knows this river inside out. The scenery gets less and less beautiful as we get closer to the dam. Rainforest gives way to dreaded rubber tree plantations (see this amazing website documenting Laos’ destructive rubber tree industry). And then we see it: the half-finished monstrosity slicing up the river. We moor close to the dam and our boatman walks with us to investigate. We all stop and stare in disbelief. China’s state-owned corporation Sinohydro proudly displays its name on a huge sign. As we stand in silence, a pickup truck full of Chinese workers drives by. I put my arm out to hitchhike, and they beckon us onboard, laughing with surprise and delight as we climb onto the truck. We leave the boatman to silently contemplate the destruction of his home, his livelihood, and possibly even his village once the dam is complete. A few minutes later we switch pickup trucks. This new truck has even more Chinese workers onboard (we don’t meet one worker from Laos), all laughing and all drunk on Beer Lao. 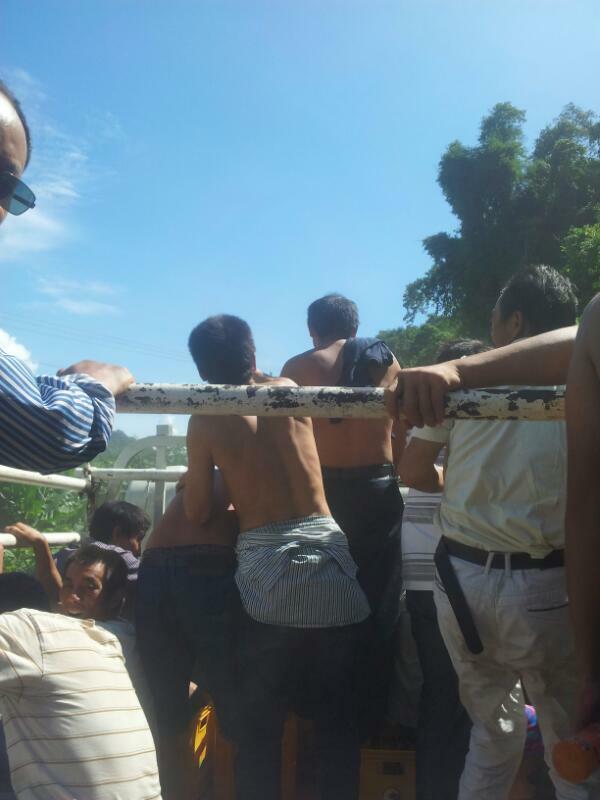 A couple of the workers are even dancing with each other as the truck bounds down the bumpy hill. “It feels like we’re back in China!” Sydney says. We’re speaking Mandarin to the workers, and the signs on the roads and the buildings are all in Chinese. There’s even red paper lanterns hanging up in the streets. We feel ashamed to be in the truck as it thunders loudly through a small village and people stare at the workers who are wrecking their river and their life as they know it. “Do you want to come and dance?” a worker asks us as we get out of the truck. What a tempting offer. 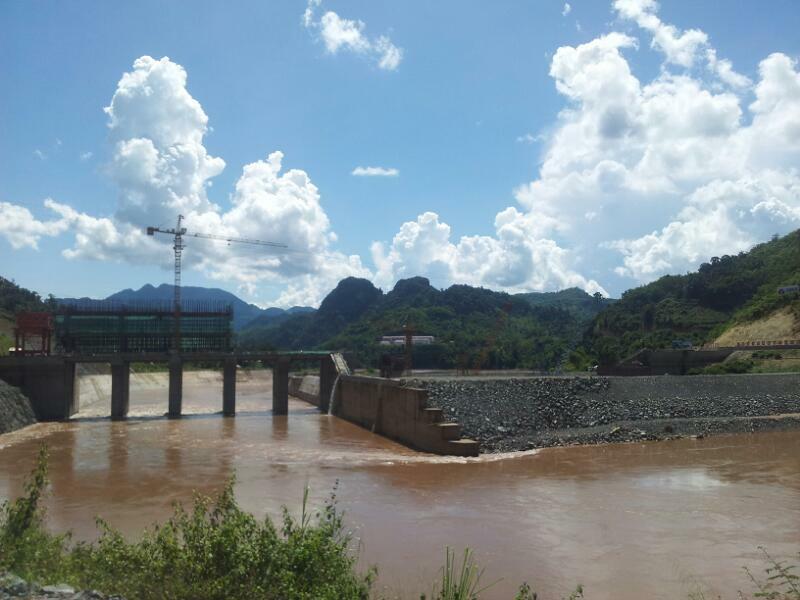 The Lao hydropower development plan contains 72 new large dams. I can’t get my head around this huge figure. 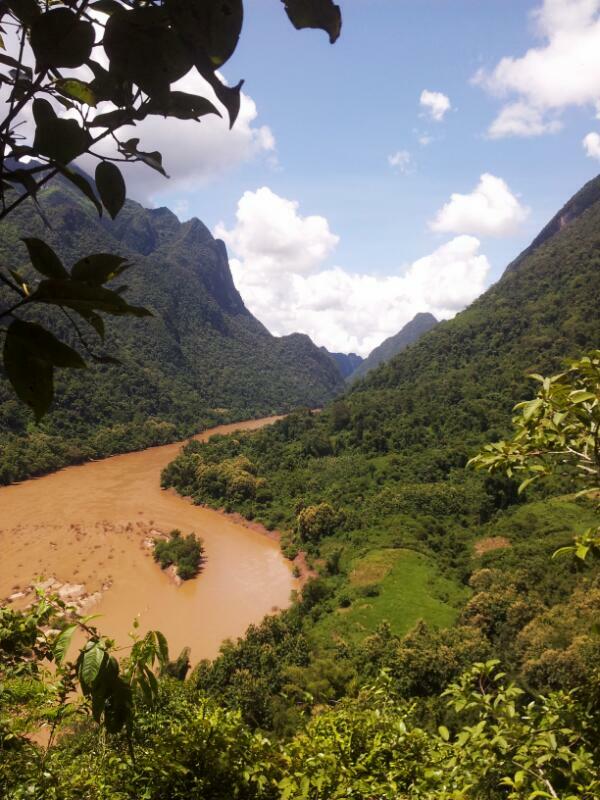 Seven dams will be built on the Nam Ou alone. 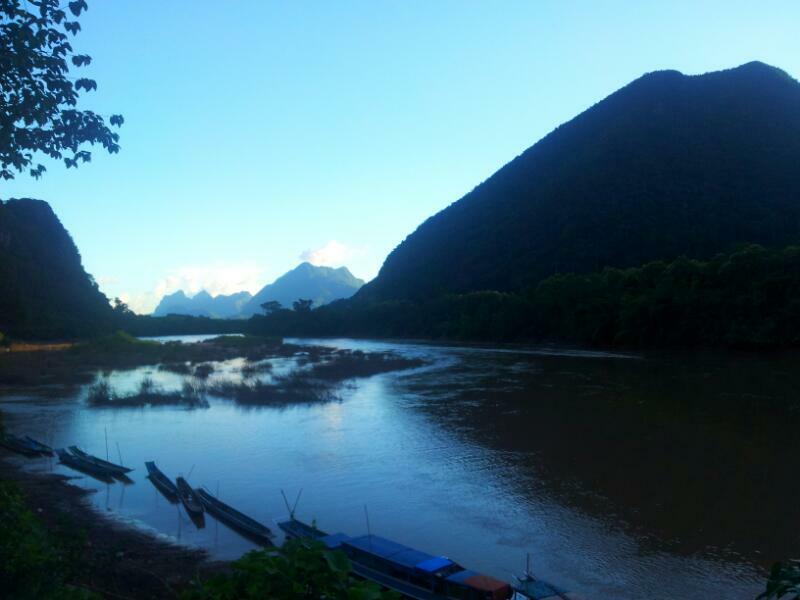 Campaign group International Rivers reported in 2012 that communities affected on the Nam Ou river were not informed about what the dam’s impacts would be, and they were also not informed about plans for village resettlements. Compensation hadn’t been paid to people, even after Sinohydro had taken their land. They also reported that villagers displaced by dams elsewhere in Laos were being resettled into workers’ compounds to be hired for rubber tree plantations. 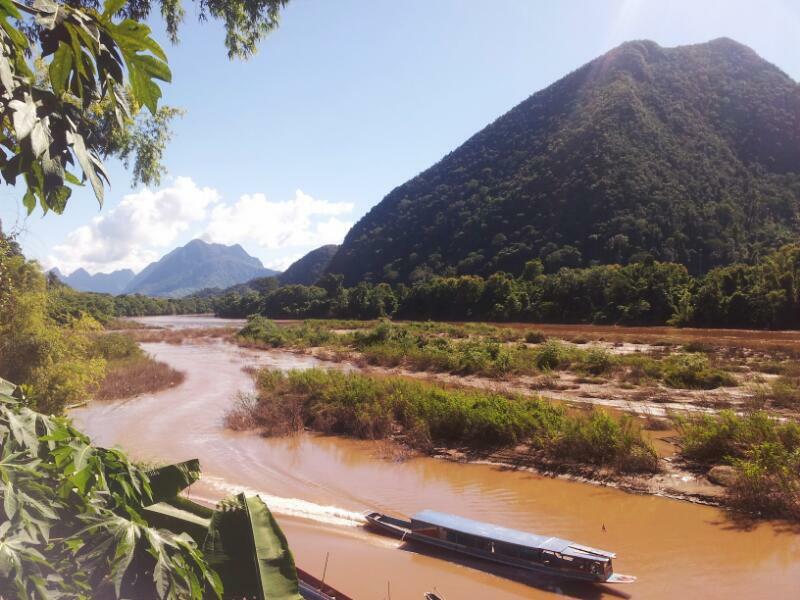 89 villages will be displaced on the Nam Ou river alone. As Sydney and I travel onwards to Luang Prabang, I think about the non-human animals who are also going to lose their homes and lives in Laos so that greedy corporations such as Sinohydro can take and take and take from our Earth.